Remove the air cleaner case (see page em-98). 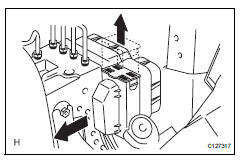 Refer to the procedures from the removal of the purge vsv up until the removal of the air cleaner case. 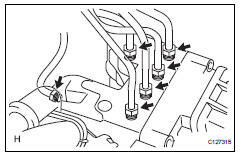 Using sst, disconnect the 6 brake lines from the actuator. 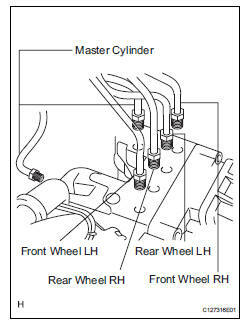 Place tags or marks to identify the installation locations of each brake line. 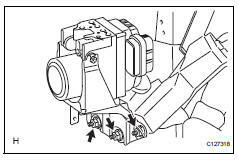 Pull the lock lever upward and disconnect the connector. 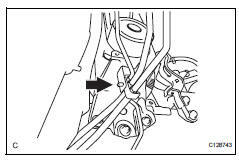 Disconnect the brake tube clamp from the bracket. Remove the 3 nuts and actuator with bracket. Be careful not to damage the brake tubes.